Mara is the only survivor of a strange accident that killed two of her friends and her boyfriend, but she can’t remember any of it. On the advice of doctors Mara and her family start over in a new city in the hope her memories will eventually come back. If only things worked out that way. Mara starts seeing the faces of her dead friends and then she starts seeing other people’s deaths before they happen. This isn’t a way to try and remember or keep a hold on the remaining shreds of her sanity. Noah Shaw is great looking, and Mara has enough trouble in her life without adding a cute boy to the mix. Noah doesn’t seem to get the hint though because he won’t leave her alone. There is something about Noah that is a little strange though, is there something he wants from Mara, or is it just romance? A twisty and at times tense read. 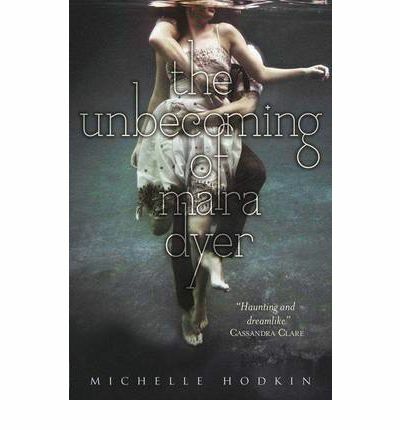 Mara is an interesting character her confusion and frustration is palpable, seeping through the pages. Noah is intriguing, he has his own issues to match with Mara’s, there is much about him we don’t know by the end of this volume. Mara’s family provide the story with a solid grounding, they keep things in the present and balance all the uncertainty with tangible concerns of a family struggling to help a possibly broken family member. If you like your romance with gothic overtones and tense twists then this is definitely worth a look.